A unique historical glimpse into the resplendent world of Southern Plantation life at what was once Louisiana’s biggest sugar cane plantation. Houmas House Plantation and Gardens is located along the Mississippi in Louisiana’s Plantation Country on Historic River Road. 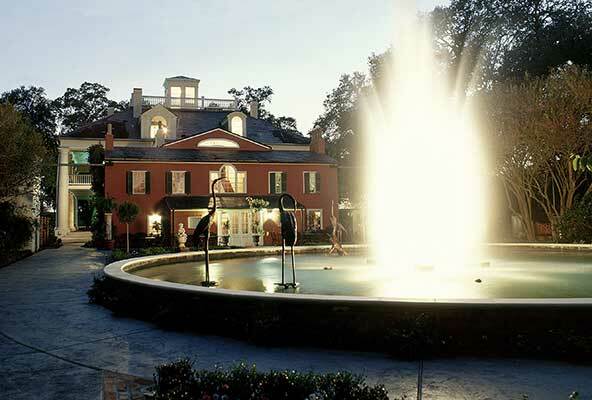 In addition to the refurbished 21-room Greek Revival mansion, there are massive fountains, lagoons and an original alley of oak trees more than 200 years old. 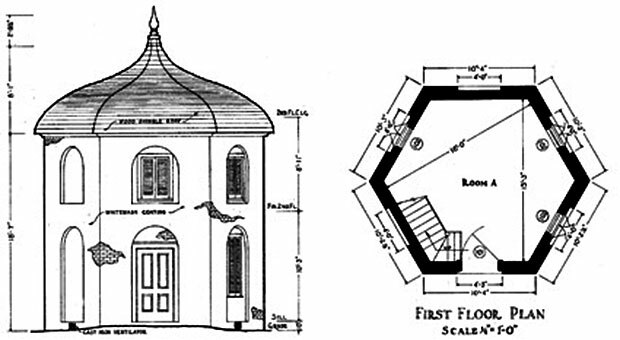 Highlights from the grounds and gardens include two symmetrical octagonal garçonnières – structures unique to Louisiana plantations to house the adolescent sons of the plantation owners. Currently there are thirty-eight acres, sixteen of which are maintained as the formal grounds to the mansion. Houmas House once boasted 300,000 acres total and during its sugar-producing heyday in the 1860s the plantation had 98,000 acres under cultivation. Special events at Houmas House Plantation and Gardens are truly memorable, from the small picnic or intimate dinner party to a grand reception, large corporate outing or family reunion. Houmas House Plantation and Gardens offer visitors a unique historical glimpse into the resplendent world of Southern Plantation life and the days of glory for what was once Louisiana’s biggest sugar cane plantation. In 1770, Alexander Latil built the original house on land purchased from the Houmas Indians who occupied the region; thirty years later he sold it to Wade Hampton who named the property “Houmas House” after the Indians. In 1825, Col. John Preston and his wife Caroline, son-in-law and daughter of Hampton, took over the property. The Burnside House (Houmas House) in 1938 covered in overgrown vines. 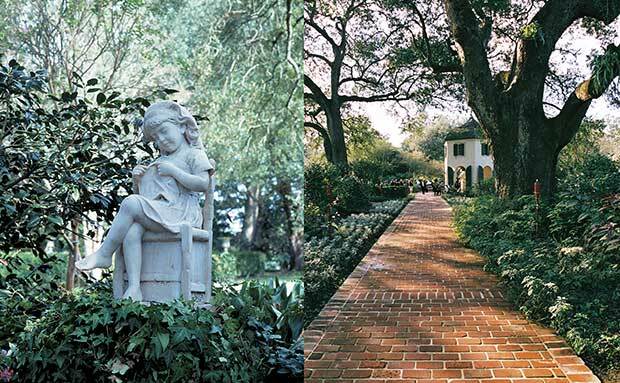 In November 2003, Houmas House Plantation and Gardens opened to the general public after an extensive renovation, enhancement and restoration to the gardens, home and surrounding property. 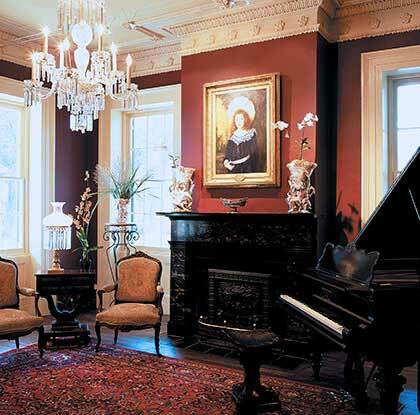 Houmas House owner Kevin Kelly, also a real estate developer and preservationist, purchased the house in May 2003. The French House, built in the 1770’s by Alexander Latil, and now the rear wing of the Houmas House Mansion, boasts the Latil’s Landing Restaurant. This 230 year old house, complete with original beamed ceilings, cypress mantels, wood burning fireplaces, and original antique hardwood flooring, is set between the Garden Carriageway and the Hampton Fountain and Gardens. 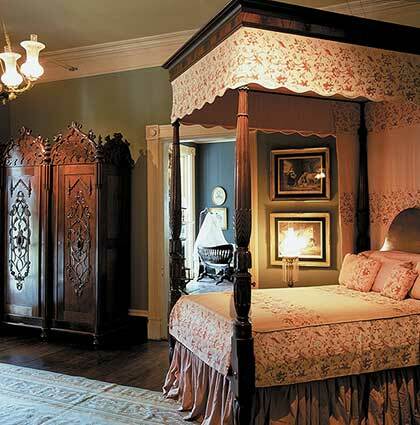 Along with a museum quality collection of art and artifacts, each dining experience is accented by French Limoge china and dinner service, replicated from the originals of Houmas House, first created for Wade Hampton in the 1830s. 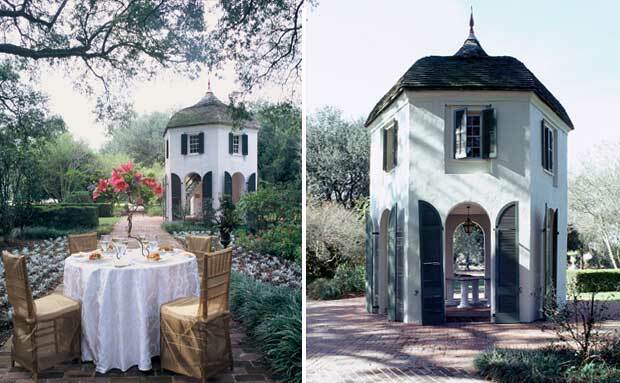 Highlights from the grounds and gardens include two symmetrical octagonal garçonnières – structures unique to Louisiana plantations to house the adolescent sons of the plantation owners. There are also massive fountains, lagoons and an original alley of oak trees more than 200 years old. The well-tended flower beds feature exotic flowers including camellias, crepe myrtles, roses, azaleas, irises, water lilies and cypress and oak trees. 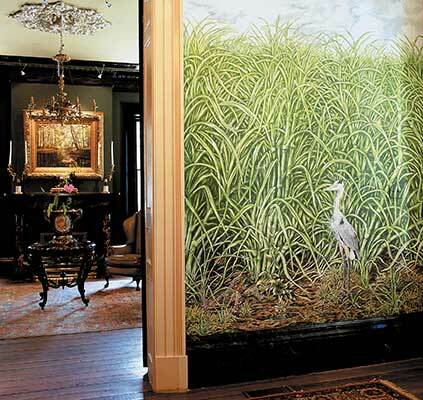 Highlights from the interior of the house include a mural scene featuring sugar cane fields painted by Craig Black, the present day caretaker, a self-taught artist. Many River Road plantations featured murals, including a nearby neighbor with an African mural motif (lions, etc.) that was reportedly so realistic it frightened some guests. Also showcased is a rare 1848 Louisiana Census Map given to Col. John Preston, former owner of Houmas House, found hidden in the attic for more than 140 years and an antique set of original Paris porcelain china serving pieces from 1848 with the “Houmas House” name. Since the property reopened to the public, the riverboat, the Delta Queen, is making regular stops to allow guests to tour the house and grounds. The Delta Queen pulls into the levee and lowers the gangplank just like over a century ago. Film and television productions filmed on location include the 1964 Hush, Hush Sweet Charlotte, 1975 Mandingo, 1981 All My Children, 1988 Fletch Lives, 2007 K-Ville, and 2010 Revenge of the Bridesmaids. 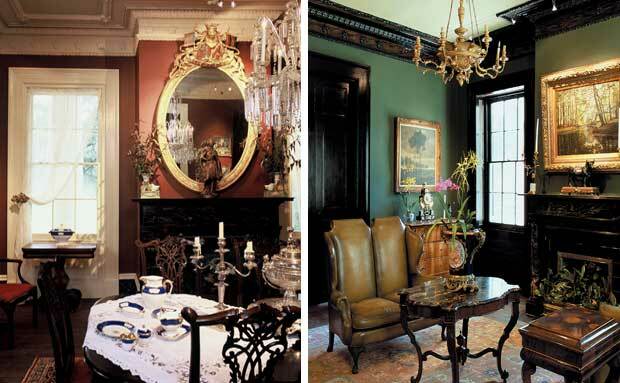 Wonderful pictures of elaborate and unique antebellum plantation home. The fight over a beloved home—seized by the U.S. government during the Civil War—went on for decades. Great pictures of a National Register of Historic Places estate to be sold to highest bidder. Majority of the structures dating from 1850 to 1910.